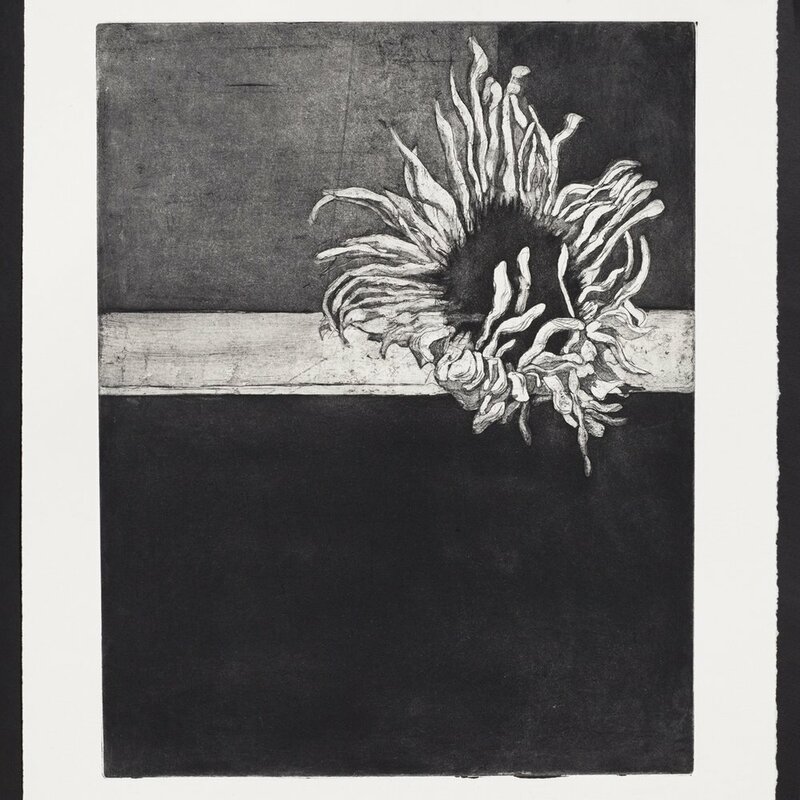 Nancy Beams is best known for her sunflower etchings that speak to the emotional recovery from childhood trauma. The beauty of flowers as a metaphor is seen in all of her work as an expression of the humility, struggles and hopes of being human. Primarily using the aquatint method of copper plate etching, Nancy ekes out strong feelings with a limited palette. Her work started as a conscious change in life style due to the financial recession and the fulfilling of a life-long dream by attending art school. She was encouraged by her professors at the School of the Museum of Fine Arts at Tufts to continue showing her feelings through this expressive medium. She was born and raised in Summit, NJ and now resides in Cambridge, MA where her etchings have been received awards in emerging artist shows.